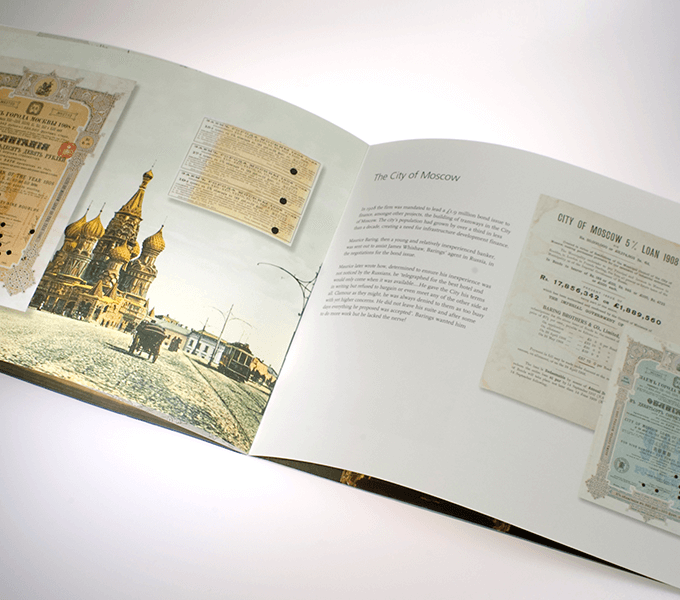 When ING acquired Barings Bank it also inherited The Barings Archive and Art Collection. 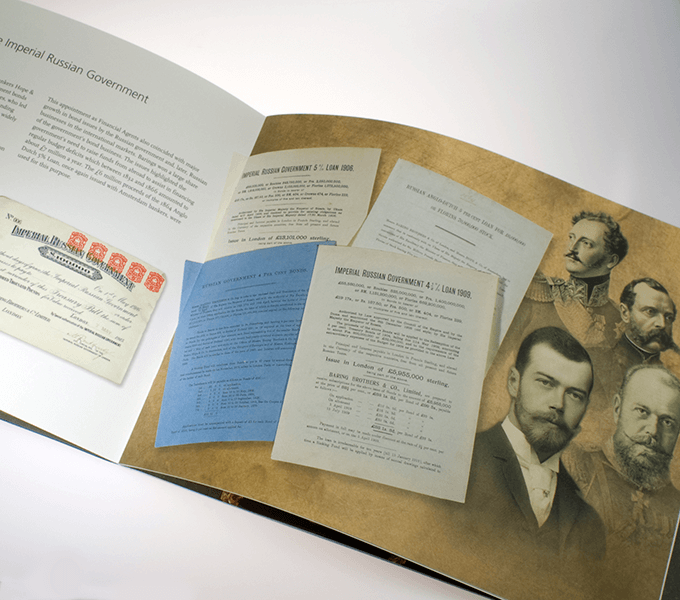 Working closely with the archivists we designed and produced two commemorative booklets illustrated with images and objects from the collection. 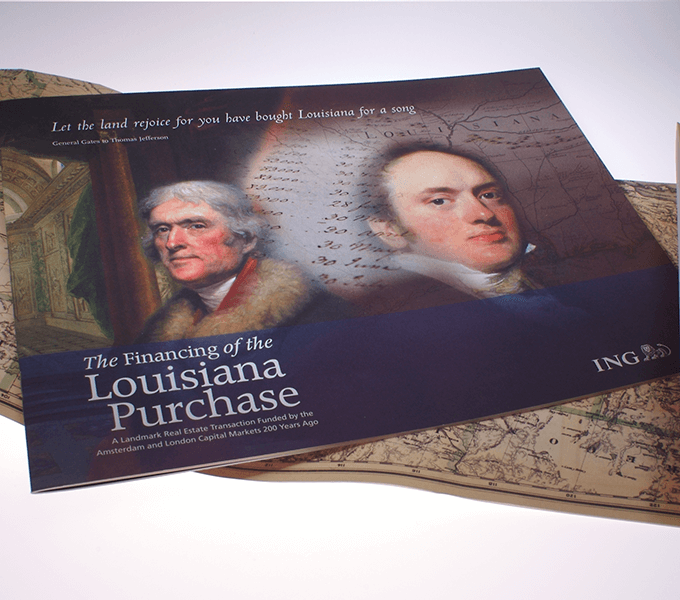 The Louisiana Purchase booklet was launched at an event in Federal Hall, New York, commemorating the 200th anniversary of the purchase of the territory from the French. 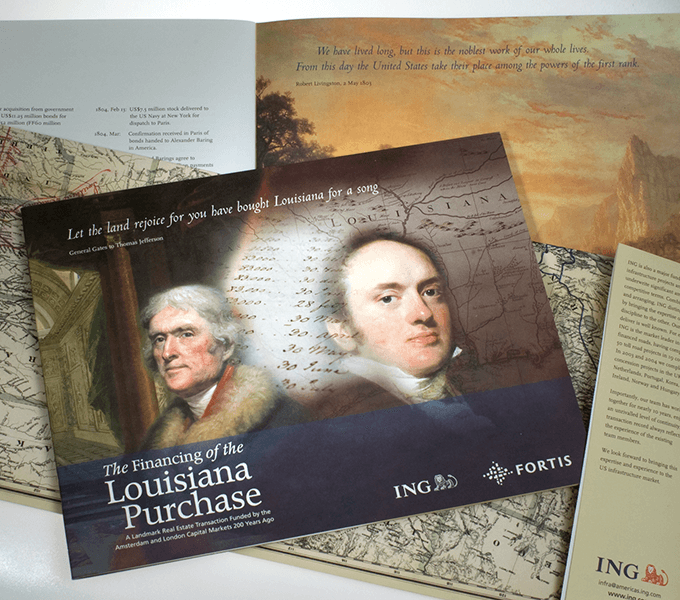 We extended the life of this publication by adding a wrap-around broadsheet featuring a reproduction of an antique map and details of recent deals, which was presented to valued customers. 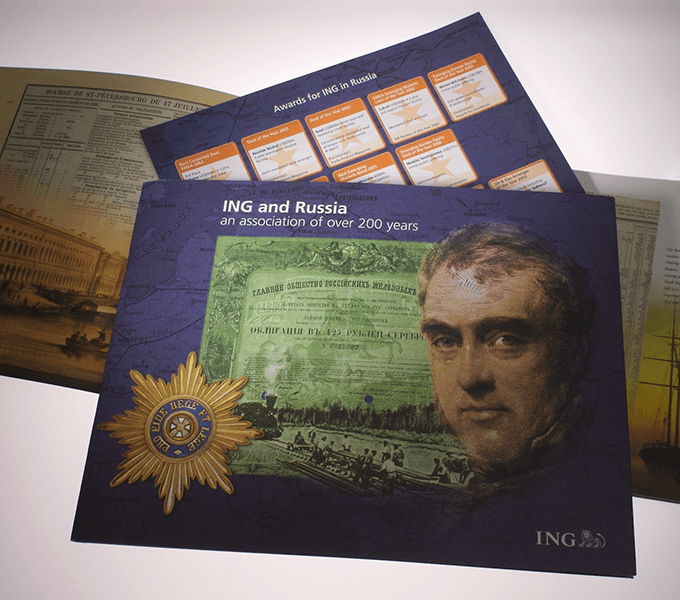 The second publication celebrated 200 years of Barings doing business with Russia and featured related objects and artworks. This was produced in English and Russian language versions and distributed at events in London, St Petersburgh and Moscow.